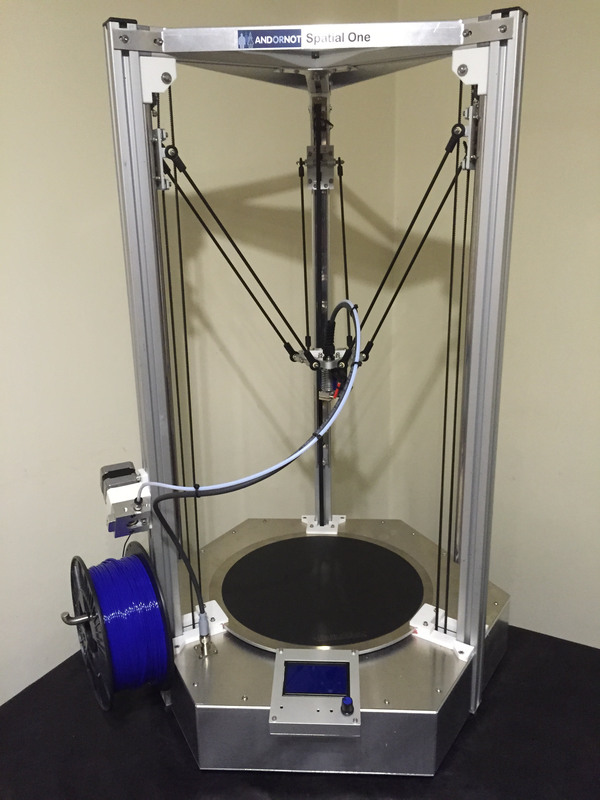 3D Delta printer designed for robustness and accuracy of the moving parts. A kit with manufactured sheetmetal and machined parts, powered by a smoothie board with industrial bearings. Robust metal construction with some printed parts. Preloaded ball raced vertical slides to eliminate any adjustment required and play. Igus rod ends and industrial bearings. 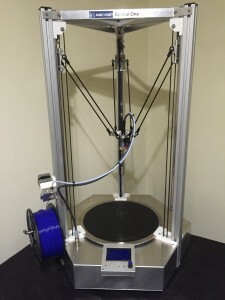 Interchangeable end effector, currently with a single hot end, further developments such as dual extruder, chocolate printer and ceramic printer. 12 way plug and socket for easy swap between different end effectors.